President Marie-Louise Coleiro Preca’s presence at a Valletta protest in solidarity with police officers last May has made it difficult for a young man accused of running over a police officer from getting a fair trial, lawyers for the defendant have argued. 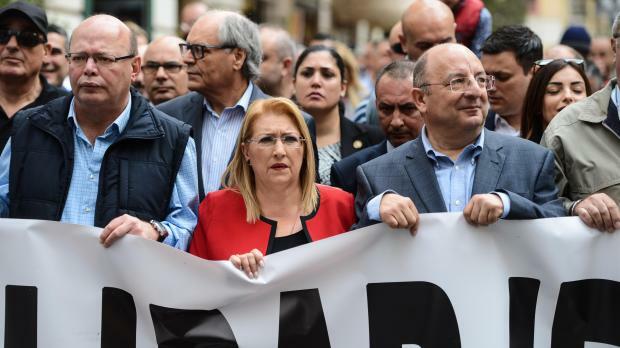 In a judicial protest filed on Wednesday, lawyers for Liam Debono said that in attending the protest, President Coleiro Preca had taken sides in a case which had yet to be heard in court. 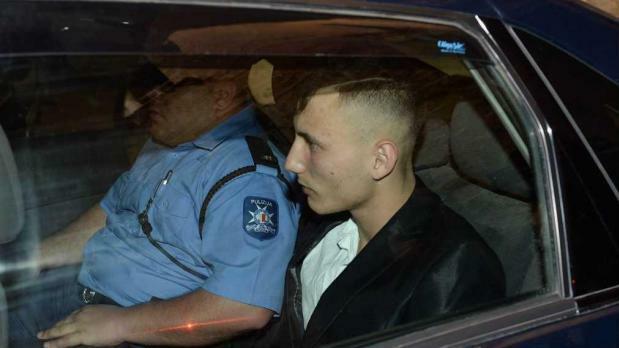 Mr Debono stands accused of the attempted murder of PC Simon Schembri, who suffered a 66 per cent disability when he was dragged for several metres under a car in a gruesome hit-and-run case which shocked the nation last May. The Valletta protest was held three days after the incident. Apart from the President, Prime Minister Joseph Muscat, Opposition Leader Adrian Delia and other elected officials also attended. In the judicial protest, Mr Debono’s lawyers argue that the President should avoid controversy, adding that “nothing is more controversial than criminal proceedings”. By attending the protest before Mr Debono’s case had even started being heard, his lawyers argued, the President had further fuelled public outrage about the case and made their client risk becoming the victim of a trial by media. The President’s office carried with it a measure of moral authority, the judicial protest argues, adding that the President also chairs the Commission for the Administration of Justice – the body responsible for overseeing the judiciary’s work. Lawyers for Mr Debono also targeted President Coleiro Preca on another count, noting that their client had an extremely troubled childhood at a time when the incumbent president was social policy minister. The judicial protest, which was addressed to the Attorney General, was signed by lawyers Franco Debono and Amadeus Cachia. Yesterday, Magistrate Joe Mifsud, who is hearing the compilation of evidence against Mr Debono said that had he not been a member of the judiciary, he would also have attended the activity as well. See the judicial protest in full by clicking on pdf below.